Our church is a warm and loving faith family in Hinton, Oklahoma. We are an active, mission minded congregation with a gathering of young and elderly persons all seeking to grow in our faith in Jesus. Please browse through the various areas of our website and learn about our fellowship and opportunities to grow and to serve. 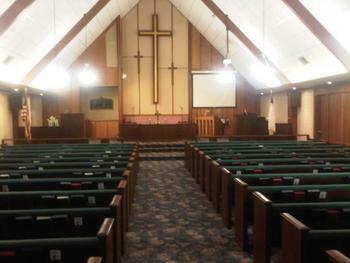 We would love to have you with us for Sunday School at 9:45 and worship at 10:45am on Sunday morning.